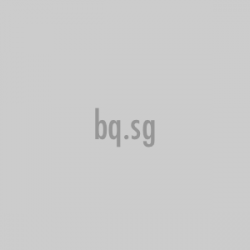 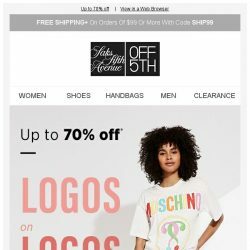 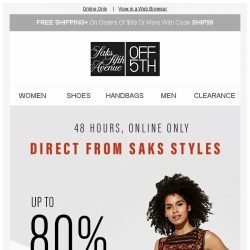 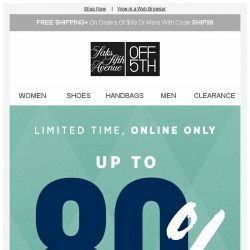 [Saks OFF 5th] Up to 80% off ends tonight! 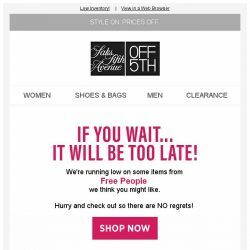 [Saks OFF 5th] Get it or regret it: Your Linda Farrow item is waiting! 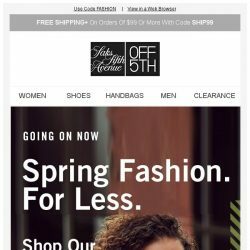 [Saks OFF 5th] Spring on it: Extra 20% off ends tomorrow! 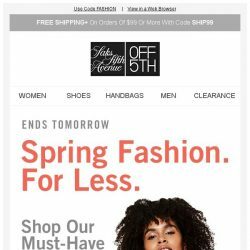 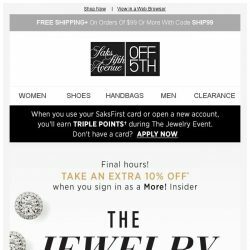 [Saks OFF 5th] Exclusive: Extra 10% off when you shop early! 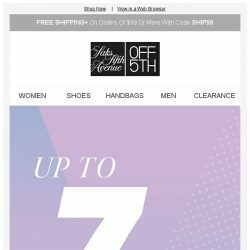 [Saks OFF 5th] Hand-to-toe: Up to 60% off Jimmy Choo, Valentino Garavani & more major names! 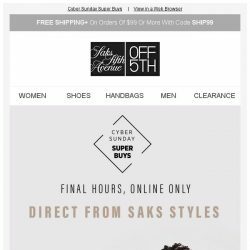 [Saks OFF 5th] New season. 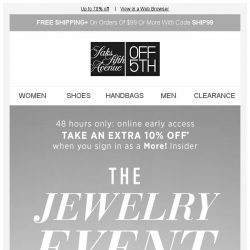 New arrivals. 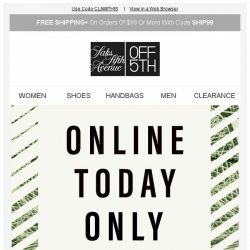 New markdowns. 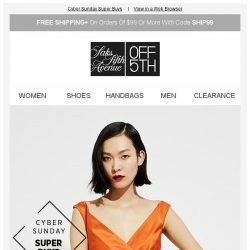 New wardrobe! 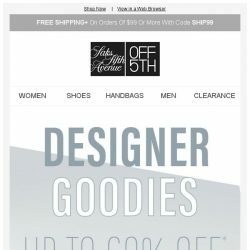 [Saks OFF 5th] BCBGeneration on your mind? 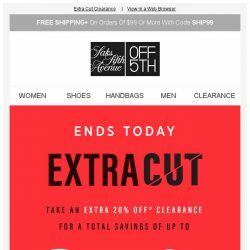 + Final Hours: Claim your extra 20% off! [Saks OFF 5th] Extra 20% off－How’s that for a deduction? 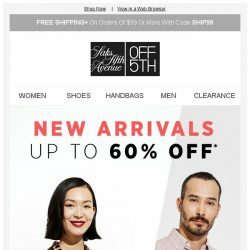 [Saks OFF 5th] Who are you wearing? 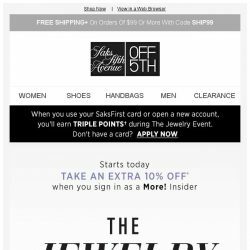 [Saks OFF 5th] Up to 70% off is in full spring… + SPECIAL DELIVERY: Schutz & More! 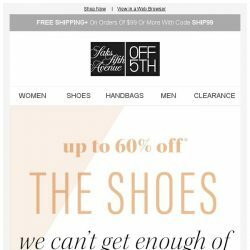 [Saks OFF 5th] NEW ARRIVALS from Schutz & more are here!